Do you ever feel like you might just have the world’s itchiest, most irritated skin? Yeah, me too. While sensitive skin can be a problem year round, things often reach a fever pitch during the winter months. It’s true that cold, dry air is mostly to blame, but your bath and body products might just be making things worse. Instead of reaching for a bar of standard issue “moisturizing” soap, I’ve started making this calamine and chamomile soap to not just replenish moisture but also heal irritation. It’s perfect for easing troubled skin back into balance and taking care of cracks, flakes, and hot spots. As the seasons change our skin goes into overdrive in an effort to rebalance itself to the new environmental conditions. With little moisture in the air, skin can quickly become dry, itchy, and irritated despite our best efforts. Not to mention, things like hot showers and harsh soaps only makes matters worse by stripping skin of its natural oils and breaking down its moisture barrier. 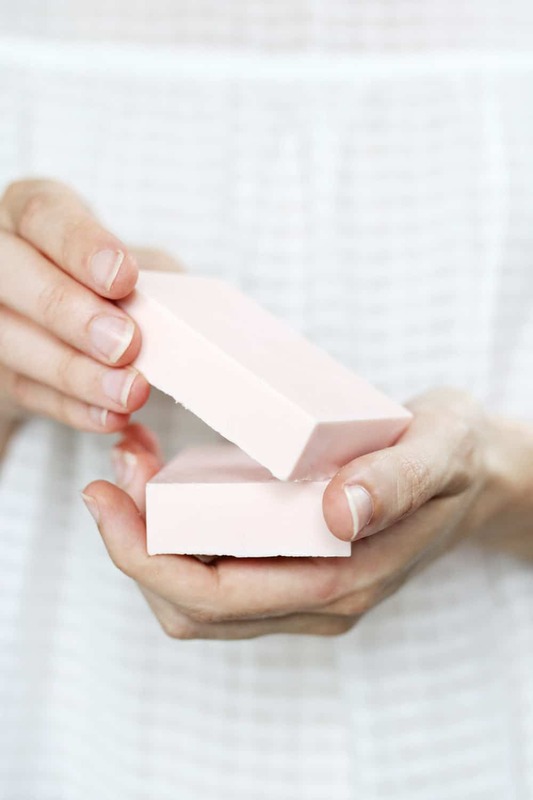 Sadly, even soaps labeled “mild” or “hydrating” can leave your skin feeling tight and itchy because they’re often packed with chemicals, preservatives and irritants. Because there are so many factors at play, when it comes to sensitive skin it’s not enough to just cut out irritants and replenish moisture. Instead, you need body products that actually nourish skin and promote healing. That’s why I started making my own sensitive skin soap. As a longtime fan of Lush’s Fresh Farmacy bars, I thought it was high time to make my own version minus the sodium lauryl sulfate, an ingredient that can cause irritation if you have sensitive skin. Not only is it helpful knowing exactly what’s in (and what’s not in) my soap, but with ingredients like chamomile, lavender, tea tree and coconut oil, I can actively boost my skin’s moisture barrier and repair damage at the same time. 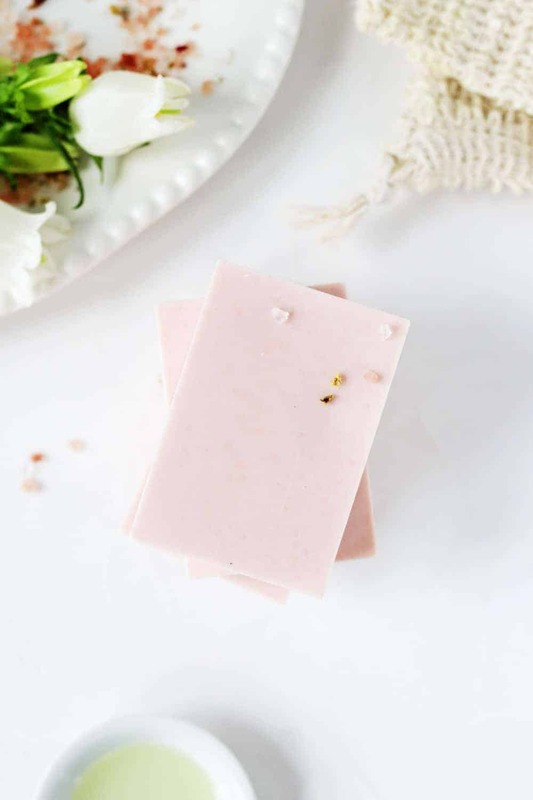 But the miracle ingredient in this is soap is calamine lotion (yep, the same calamine lotion you probably used on bug bites as a kid). Calamine gets its astringent and anti-itch properties from zinc oxide, a natural anti-inflammatory. Because it works miracles on skin irritation and inflammation of all kinds, you’ll usually see it in summer skin products. But it’s just as good at healing dry winter skin. 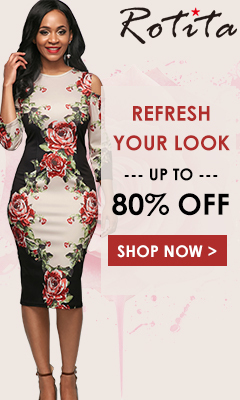 When used regularly, calamine acts as a sort of second skin which forms a barrier between your skin and the elements, protecting you from irritants and locking in much-needed moisture. 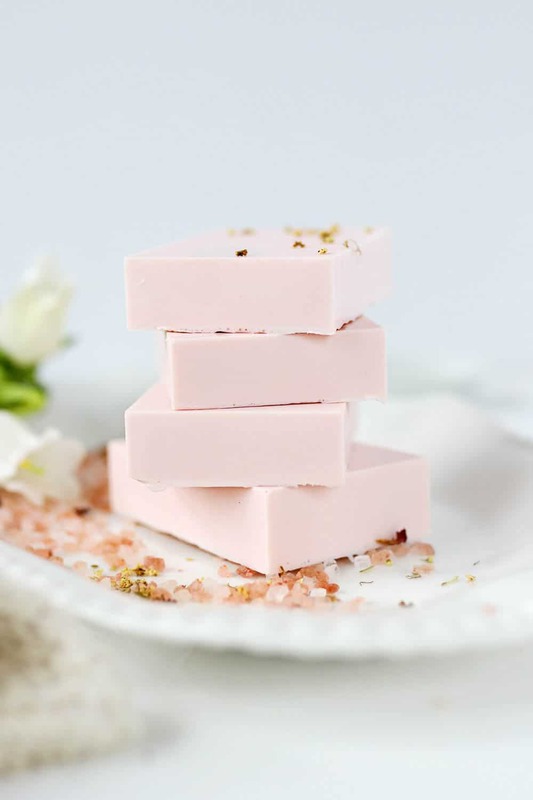 Here’s how to make your own healing calamine soap. 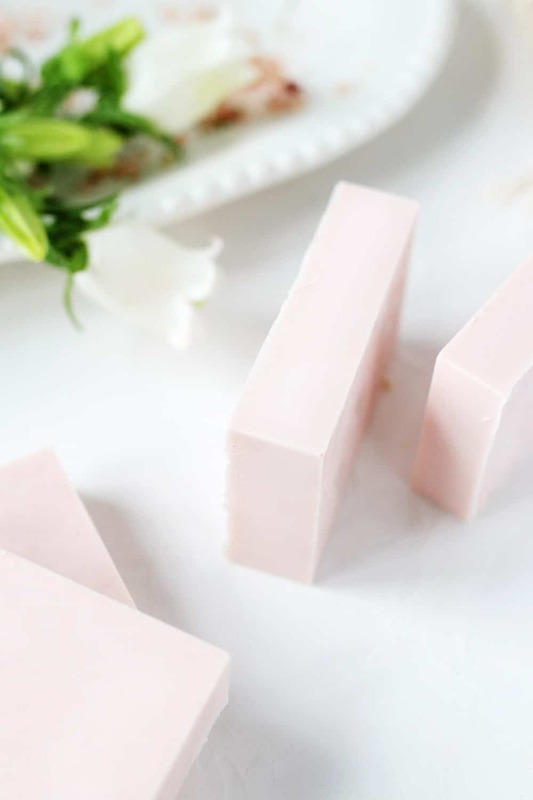 Chop soap into small chunks and place in a medium-size microwave safe bowl. Microwave in 30-second intervals until just melted. Add remaining ingredients and stir well to combine. Pour into your soap mold and let cool completely. Remove from mold and store in an airtight container for up to 3 months.